With the range of colours and the style in which this range can come as, there is no wonder why the name 'Cool 200' was chosen. 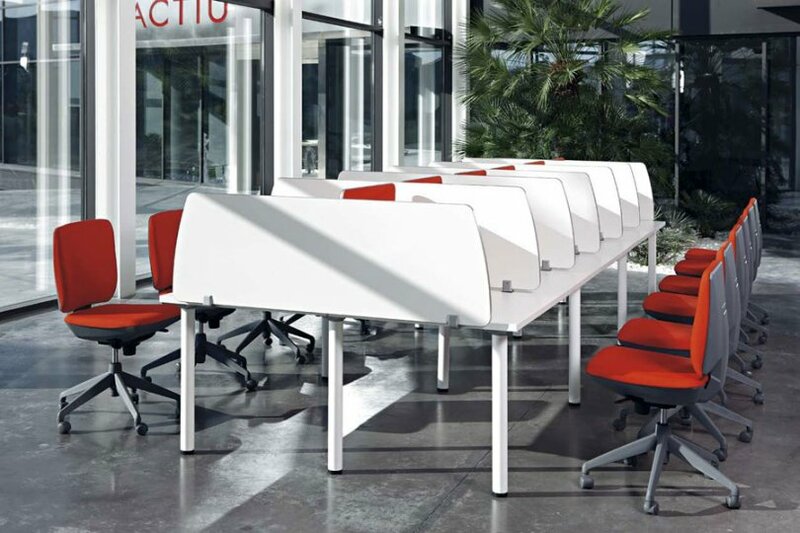 The tops of the desks can come in a range of colours as well as the legs and screens. The screens can therefore be chosen to a colour that will be relevant to the company that they have been installed for. The Cabin Desks are great for space saving and telecommunication. The range comes with a five year warranty and the lead time is a couple of weeks. Please do not hesitate to contact one of us at the office and we will be more than happy to try and be of assistance.